The Samoa 2015 Commonwealth Youth Games are now over. This website is closed and for reference purposes only. 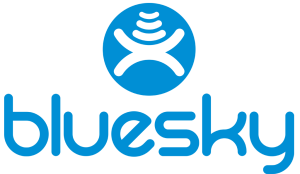 Some external links and forms may no longer work. 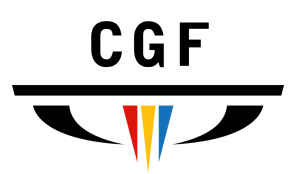 For the up to date & corrected results from Samoa and all the latest news and information on the Commonwealth Games and Commonwealth Youth Games please visit the CGF website. Some of the finest young athletes from across the globe tonight (11 September) brought the flag down on five unforgettable days of great sporting achievements and new Commonwealth friendships forged on the tiny Pacific island of Samoa as the Commonwealth Youth Games came to an emotional end. Young people mostly aged 14-18 from 65 nations and territories joined with a cast of 2000 volunteers and a host of VIPs including the Samoan Head of State and senior international guests for a spectacular Samoan-style Closing Ceremony which formally ended what new Commonwealth Games Federation President Louise Martin has already billed “the warmest, friendliest Youth Games ever”. Commenting on the overwhelming success of the Vth Commonwealth Games, CGF President Louise Martin CBE said: “Samoa has truly delivered, in every sense, the warmest, friendliest Commonwealth Youth Games ever. This small island state has done a fantastic job not simply delivering the logistics of these Games; it is the sincere spirit and genuine warmth with which the people of Samoa have embraced us all that will live long in our memories. Over five days, 926 athletes have competed for gold and glory across nine sports against a lush Samoan sporting backdrop. A total of 107 Gold Medals were awarded across the Aquatics, Archery, Athletics, Boxing, Lawn Bowls, Rugby Sevens, Squash, Tennis and Weightlifting. The Closing Ceremony saw the 1000 athletes and team officials parade together, before the volunteer cast members performed a poignant Pacific farewell, led by artistic director Allan Alo and music director, Tuilagi Igelese Ete, choir master for Peter Jackson’s Lord of the Rings films. Formally closing proceedings, the Commonwealth Games Federation flag was lowered and accepted on behalf of the next generation of young athletes by 12-year-old Nauru weightlifter Maximina Uepa, the youngest competitor at the Games. The process is already underway to select a new host for the 2017 Games. Samoan Minister of Education, Sports and Culture, Magele Mauiliu Magele said: “Samoa takes great pride in representing the Pacific as host of the Commonwealth here in paradise. We hope all our visitors and new friends have enjoyed our Samoan hospitality over the last week and had a chance to explore our island home and enjoyed our Teuila Festival which had been running parallel to the Games. After education, Government places high priority on sports development as a way for our young people to create successful futures for themselves. The power of sport is in bringing people together and what better way to encourage tolerance and appreciation of the diverse world in which we live, than with inclusive sporting events such as these Youth Games. Since its inception in 2000 in Edinburgh, Scotland, the Commonwealth Youth Games has provided an important springboard for future sporting stars. Commonwealth Games, Olympic and World Championship superstars such as Kirani James, Jessica Ennis-Hill, Chad le Clos and Caster Semenya have all experienced the early thrill of representing their home nations and territories as teenage competitors at previous Youth Games. Standout performances at this Commonwealth Youth Games have included Kenya’s Kumari Taki, who clocked 3:39.90 to take the boy’s 1500m title, South African Tiotliso Gift Leotlela who won the 100m in 10.20secs and English Weightlifter Rebekah Tiler who won gold with a score of 211 in the 69kg category. The athlete taking home most medals is swimmer Clyde Lewis of Australia, who dominated the pool winning five Gold, two Silver and one Bronze medal. The host nation Samoa also had cause for celebration as Weightlifter Maeu Nanai Livi won Gold on the penultimate day of competition in the 85kg category. Australia and New Zealand dominated the Lawn Bowls greens, Malaysia won all five squash titles, whilst South Africa and Australia won the Men’s and Women’s Rugby Sevens titles respectively. In previous years there has been a competitive programme of a maximum of eight sports at the Commonwealth Youth Games. 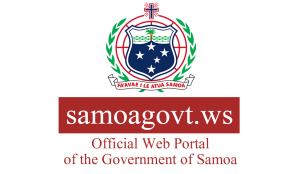 The inclusion of Archery as a ninth sport at these Games was made at the special request of the Samoan Prime Minister, a keen archer who became the first elected leader to win a medal for his country when he competed at the 2007 Pacific Games. 1,200 local volunteers were dedicated to ensuring the Games ran smoothly and that all guests received a warm welcome to the Pacific. 48,000 bottles of water were consumed and 34,400 meals were prepared by local businesses at the Athletes Villages and Main Dining Hall. 500 shuttle journeys were made between venues on colourful traditional buses. Off the field of play young athletes enjoyed the full experience of competing in an international multi-sport competition, with both athletes and team officials residing in athletes’ village-style accommodation across the city. And, in a first for a Commonwealth Youth Games, athletes also participated in a range of workshops, developed and delivered by the Commonwealth Secretariat, which explored important themes around shared values, integrity and the special contribution sport can make to Development and Peace. More than 1,000 Samoan schoolchildren from across the island also took part in a series of UNICEF-led Just Play events, supported by funds generated at the Glasgow 2014 Opening Ceremony, using sport and recreation to communicate important messages about health, inclusion and gender equality. 1. Sports at The Commonwealth Youth Games: Aquatics (Swimming), Archery, Athletics, Boxing, Lawn Bowls, Rugby Sevens, Squash, Tennis and Weightlifting. Each nation and territory is guaranteed a minimum of four athletes (two male/two female). 2. Previous Games: England topped the medal table at the last Youth Games on the Isle of Man in 2011. Previous hosts were Pune, India (2008), Bendigo, Australia (2004) and Edinburgh, Scotland (2000). 3. The Venues: Tuana’imato Sports Facility – Aquatics (Swimming), Archery, Boxing, Lawn Bowls, Squash, Weightlifting. Apia Park Sports Complex – Athletics, Rugby Sevens, Tennis.